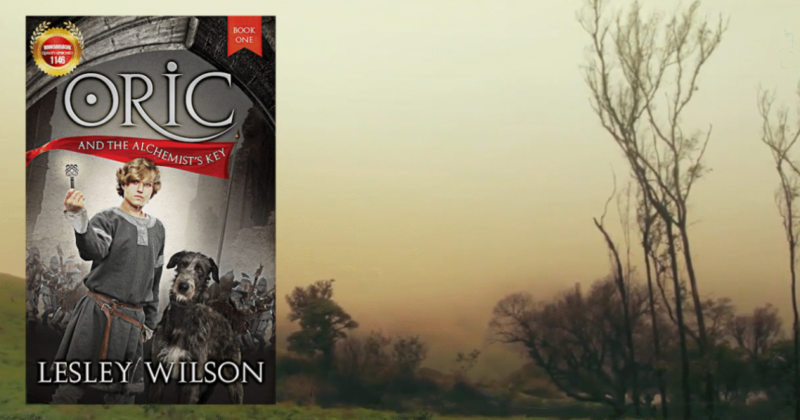 Oric and the Alchemist’s Key is the opening book in The Oric Trilogy by Lesley Wilson and a spectacular read for fans of adventure. When a band of marauders ransacks Oric’s home, his fatally wounded friend, Deveril, the Alchemist, hands him a key and promises that it can unlock great wealth. He cautions that it can be dangerous if it falls into the wrong hands. But there are enemies who will do anything to get the key. Oric makes new friends, an apothecary and a kitchen maid, and together with a wolfhound, Parzifal, and a donkey, Braccus, they set out on an adventure of a lifetime in a world where nothing is what it seems. Thrust into new and challenging situations, where the least mistake can be disastrous, can he find within himself what it takes to make choices that matter? Oric and the Alchemist’s Key is hilarious, exquisitely written, and delightful. Lesley Wilson displays a great gift of imagination, creating characters that are believable — even the animals in the story communicate with the characters in a way that readers will enjoy — and a world that is enchanting to navigate. The writing is atmospheric and the seamless blend of action with the setting creates visuals that keep readers focused. Oric and the Alchemist’s Key is a magical tale with extraordinary characters, an enchanting setting, and a gripping plot. The author knows what it takes to make readers care about a character and uses that gift well. Oric and the Alchemist’s Key is transporting and entertaining, the kind of book you want to daydream over to escape the doldrums of everyday life. I recommend it to fans of adventure and fantasy without any hesitation.